James (FA Kart/Vortex) qualified 8th of the 81 OK-J entrants (putting him in group C for the heats) then won his opening heat and fourth in the next. Racing with the Parolin Racing Team, Peter (Parolin/TM) qualified a strong 17th (of 87) in 60Mini and is racing in group E. Dramas in the first two heats resulted in a DNF (26th) and another 26th. A quite lively OK Junior saw the Finn Tuukka Taponen (Kosmic-Iame-Vega) coming to the fore in Sarno. He set the pace in qualifying posting the quickest time in 59”358s. 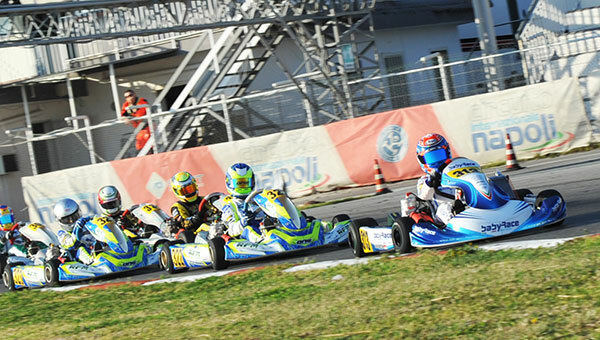 The Dutch Laurens Van Hoepen, second in qualifying, bounced back winning one of the four heats, as did his fellow countryman Thomas Ten Brinke, the Australian James Wharton (all on FA Kart-Vortex) and the Russian Artem Severiukhin (Tony Kart-Vortex). Provisional classification leader Andrea Kimi Antonelli (KR-Iame) has some ground to get back instead. He was 12th in qualifying and fifth in his heat today. Above, the start of one of the heats. Dexter Patterson (KR-Iame-Bridgestone) had a positive day one: after posting the quickest time in qualifying in 45”291s, leading the Swede Dino Beganovic (Tony Kart-Vortex), the Scot won, in fact, the first heat. Being on top of the provisional classification, Patterson is among the favorites to the final win, even if the classification is still open and the battle is going to be exciting tomorrow. 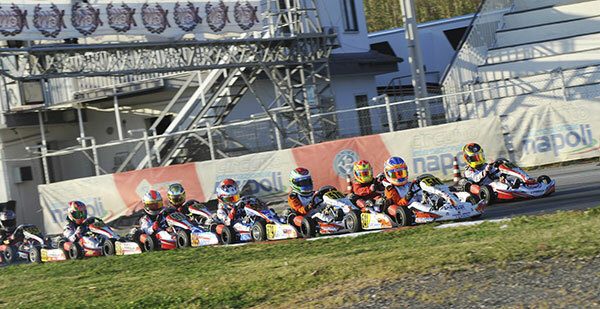 The second heat was won by the Brazilian Gabriel Bortoleto (CRG-Iame). 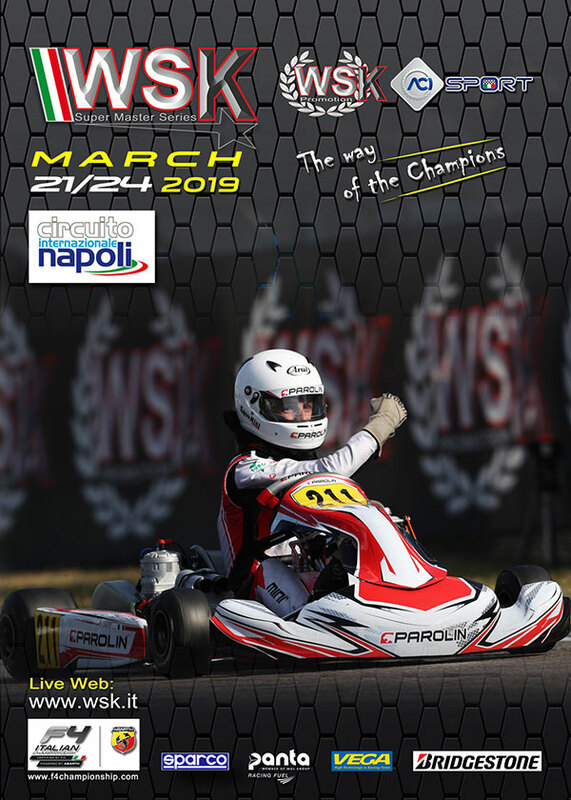 Lorenzo Camplese (Tony Kart-Vortex-Bridgestone) has been the quickest driver in qualifying at the second and decisive round of KZ2. The Italian posted a best time of 56”402s keeping his teammate Marco Ardigò behind. 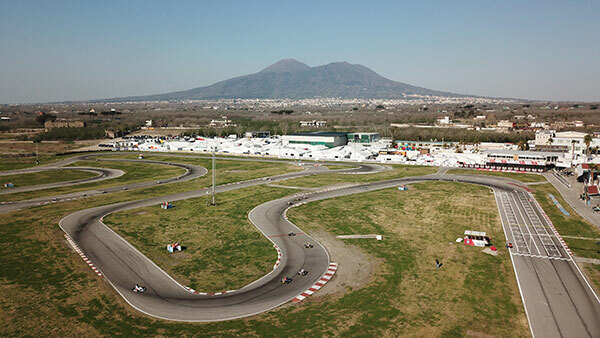 The driver from Brescia secured the win in the first of the two heats, while the second went Giacomo Pollini’s ways (Formula K-TM). The weekend of classification leader from Holland Bas Lammers (Sodi Kart-TM) started on a low, as he posted the 13th time in qualifying and ended his heat in fourth place. The British William Macintyre (Parolin-TM-Vega), already on top in qualifying at the previous round in Muro Leccese, will have another go at staying on top of everyone in 60 Mini. He posted, in fact, the quickest time in qualifying in 1’07”178s. Current classification leader from Belgium Ean Eyckmans was not as fast and classified only 12th . Six different drivers came to the fore in as many heats taking one win each: namely, Emirates’ Keanu Al Azhari, the Russian Maksin Orlov, the Pole Maciej Gladysz, the Swede Joel Bergstrom (all on Parolin-TM), the Italian Antonio Apicella and the Russian Dmitriy Matveev (both on Energy-TM). In the photo above, Macintyre leads the pack in one of today’s heats.